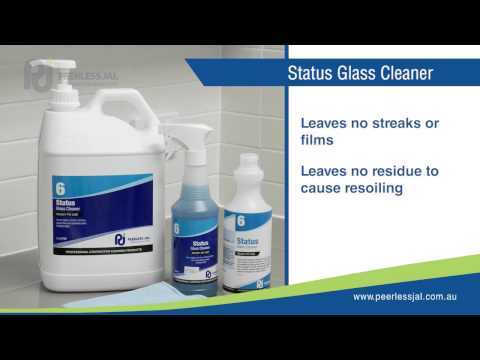 Status is a solvent-based window cleaner designed for easy application through all plastic atomisers. It’s recommended for use on glass, glazed tiles, stainless steel and chrome surfaces where a mirror type finish is desired. Staus is specially blended so that a chamois can be used with complete safety, and in fact it is recommended that a chamois is used to obtain a smear-free premium finish at all times.